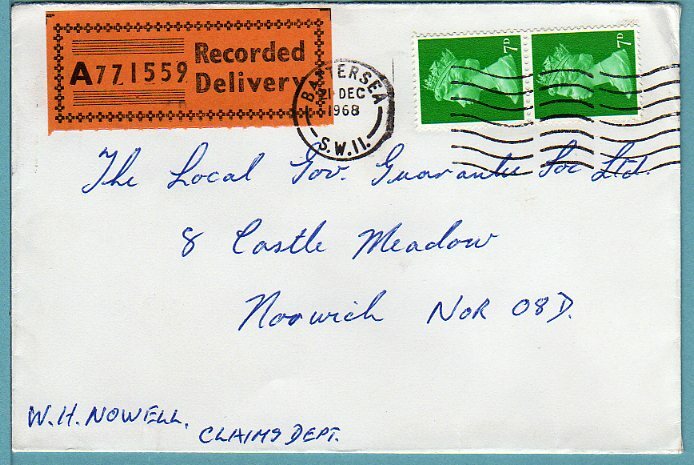 Do you collect Postal History the Modern way? Many people think that stamps issued these days are only for collectors. There certainly isn't much variety on the mail these days, unless you count the variations in the 2nd class blue and 1st class gold. Incidentally, how often do you see these stamps from ordinary counter sheets, ie without any hidden security code? Most of the ones I get are from booklets, with business sheets a close second. Ordinary sheet stamps could be quite scarce! Over on my other blog, I'm showing stamps actually used. I'm stuck in the late 1960s/early 1970s at present but will add to it from time to time, and I'll be interested to have your reactions. Some of these stamps are not in many collections - on cover, doing the right job! 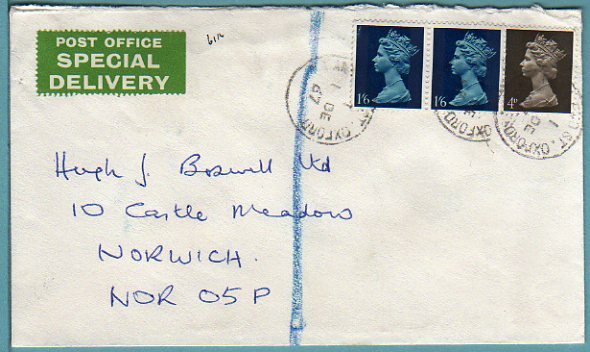 If you're interested in this aspect of collecting, please follow the Postal History blog as well as this one.